Jet Blue has a promotion where when you book by 8/6/18, you can score a Jet Blue promotion code for 20% off base airfare on your next ticket. You can earn a maximum of 7 promotion codes with this promotion. 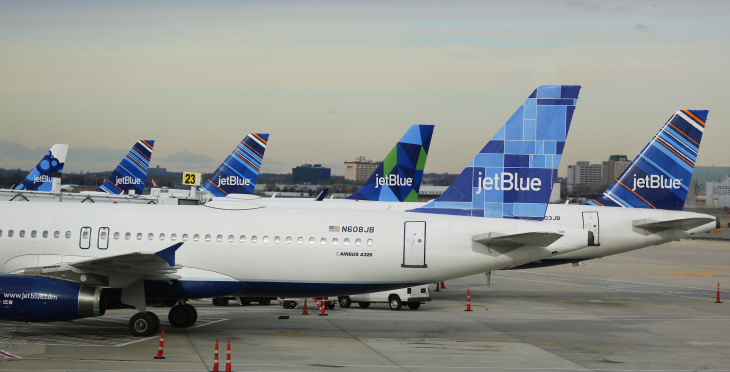 What’s better than flying on JetBlue? Flying on JetBlue twice! And, for a limited time, you’ll save on that second flight. Terms and conditions: Ticket must be purchased on jetblue.com by 8/6/18 and at least one flight on the reservation must be completed before 11:59pm ET on 8/31/18 to receive the promo code. Score a Jet Blue promotion code for 20% off base airfare on your next ticket when you book by 8/6/18.